Husband and wife team Christo and Jeanne-Claude are sculptors of a kind. 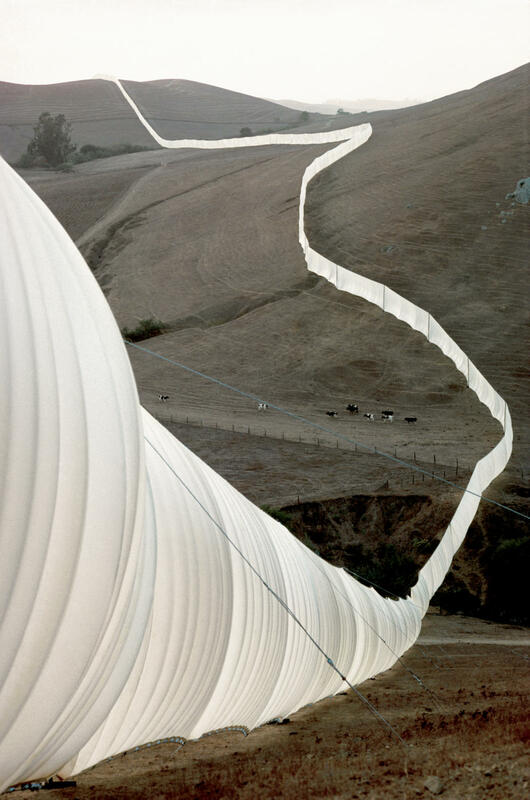 They have wrapped the German parliament building in aluminium fabric, installed a white nylon fence in California, and covered a Swiss forest in polyester. 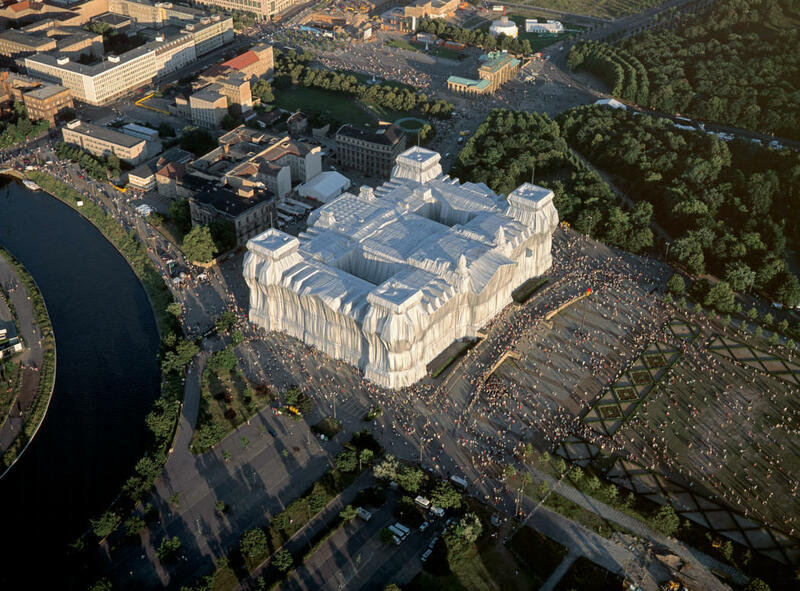 Through wrapping, some of the most basic features and proportions of the object are revealed, by concealing the actual item. 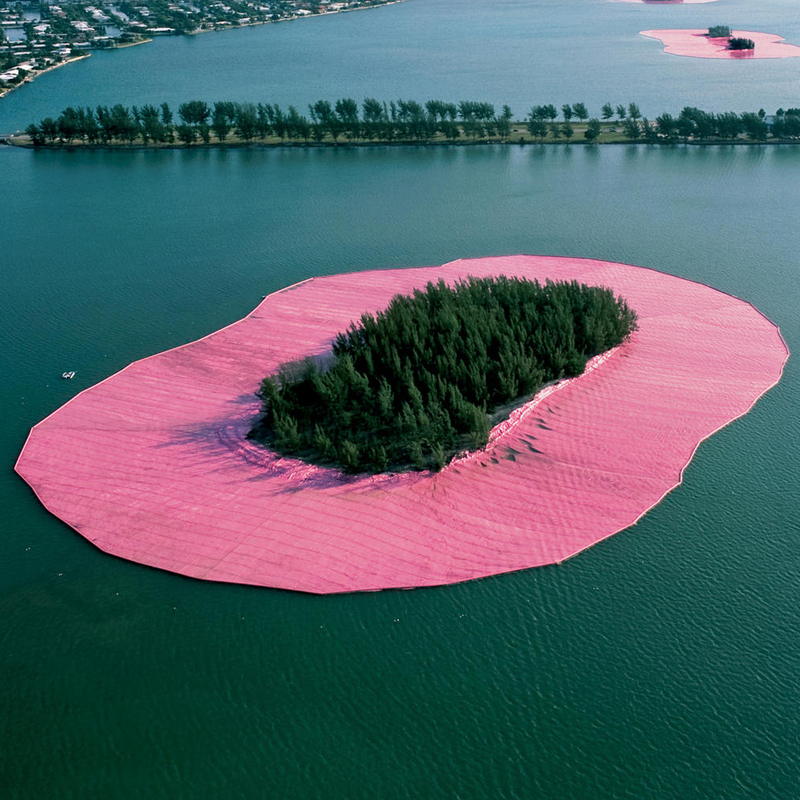 Their works are temporary, site-specific installations, designed to transform an existing environment into a new experience. 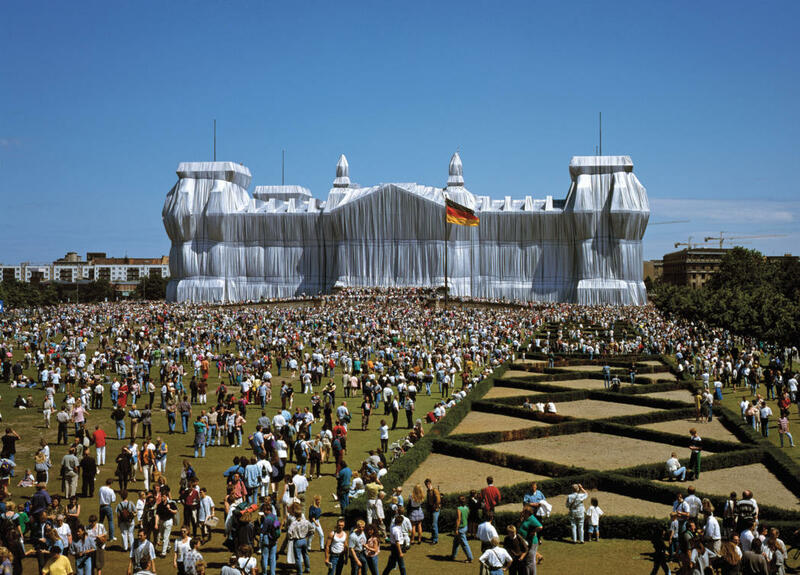 The Big Deal: (I don’t know if you caught this part in the introduction, but they have wrapped WHOLE BUILDINGS IN FABRIC!) 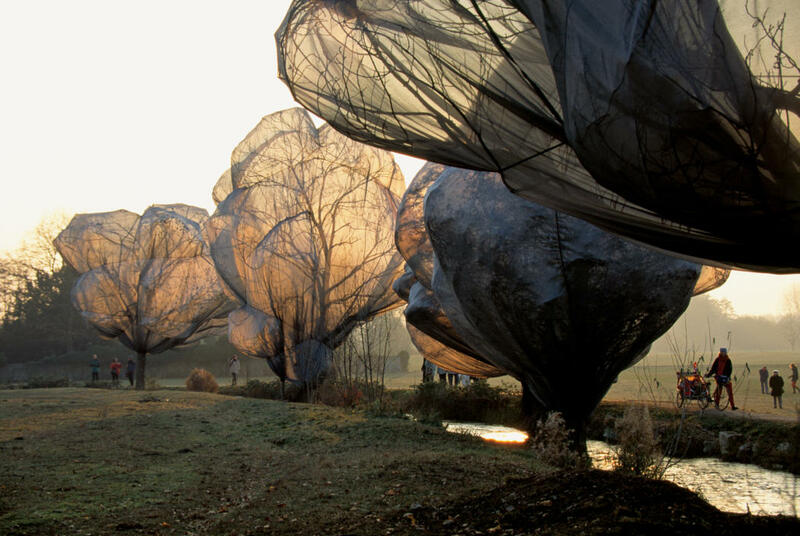 They also pay the entire cost of the artworks themselves. 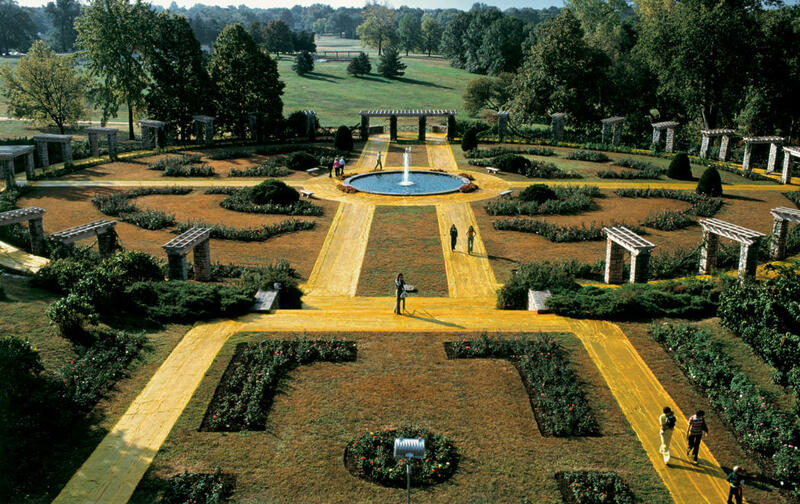 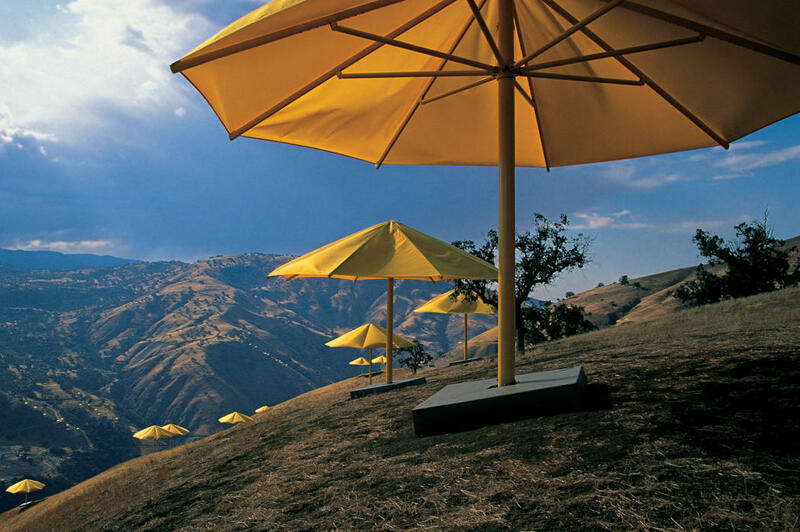 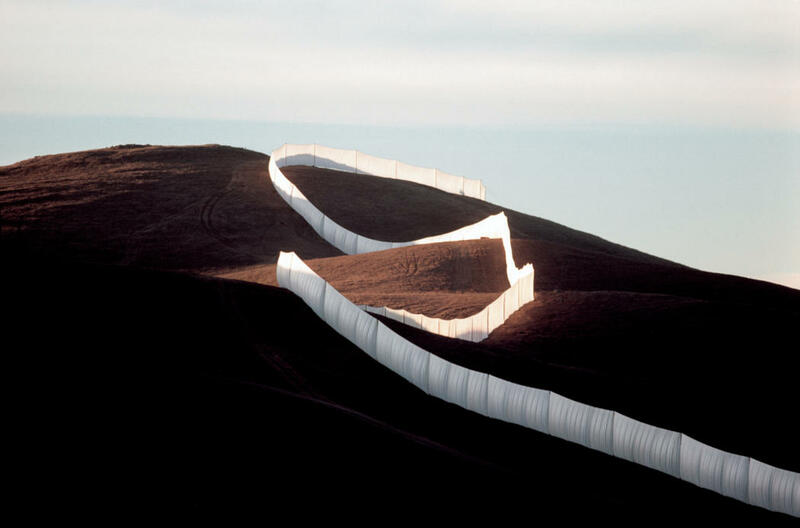 They fund all of the projects through the sale of Christo’s preparatory studies and early works from the 50′s and 60′s. 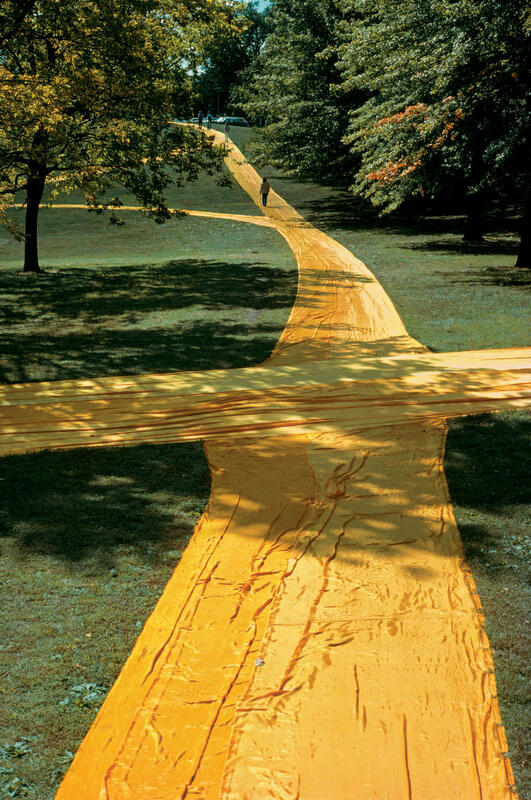 They do not accept grants or sponsorships of any kind. 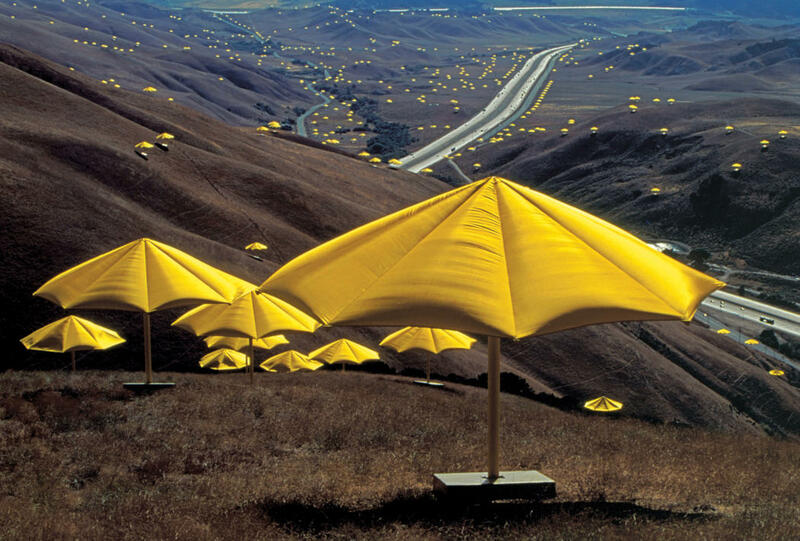 Their unique work has spanned four decades. 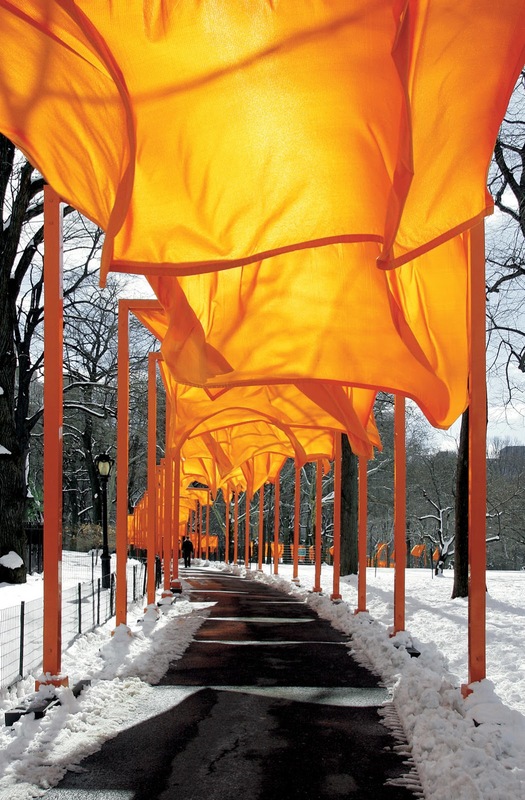 Life In Brief: Born in Bulgaria, Christo leaves in 1957 to study art in Vienna. 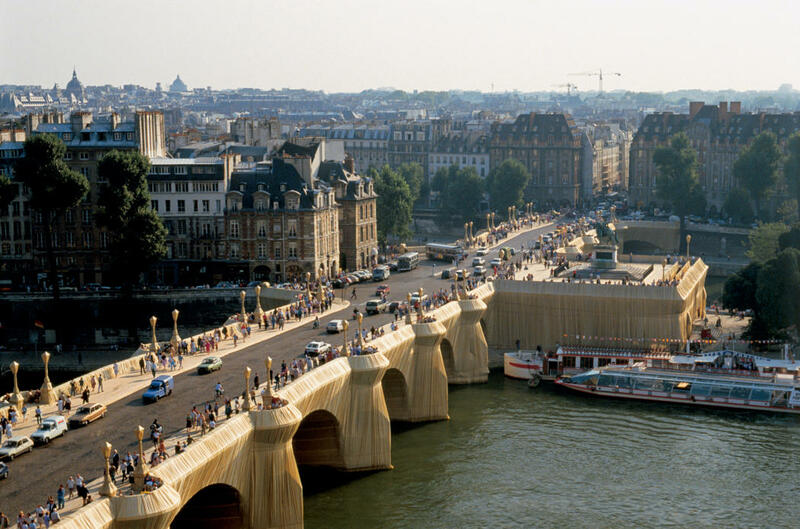 Moving to Paris in 1958, Christo makes a living painting portraits on commission. 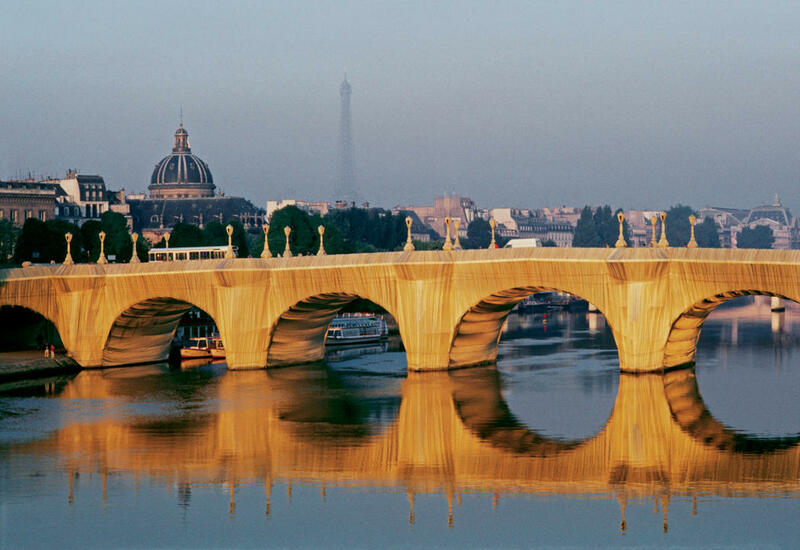 While painting a client, he meets her daughter, Jeanne-Claude with whom he falls in love. 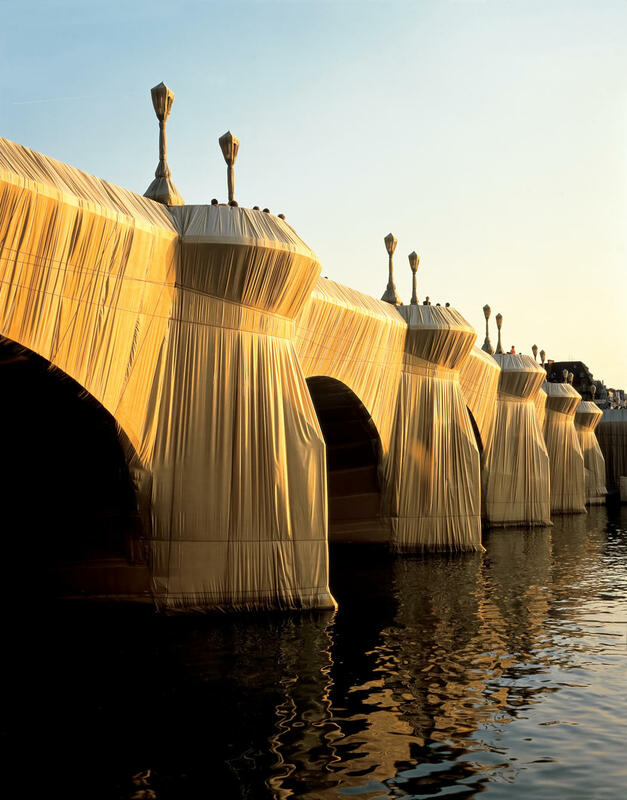 His personal work involves wrapping objects in fabric. 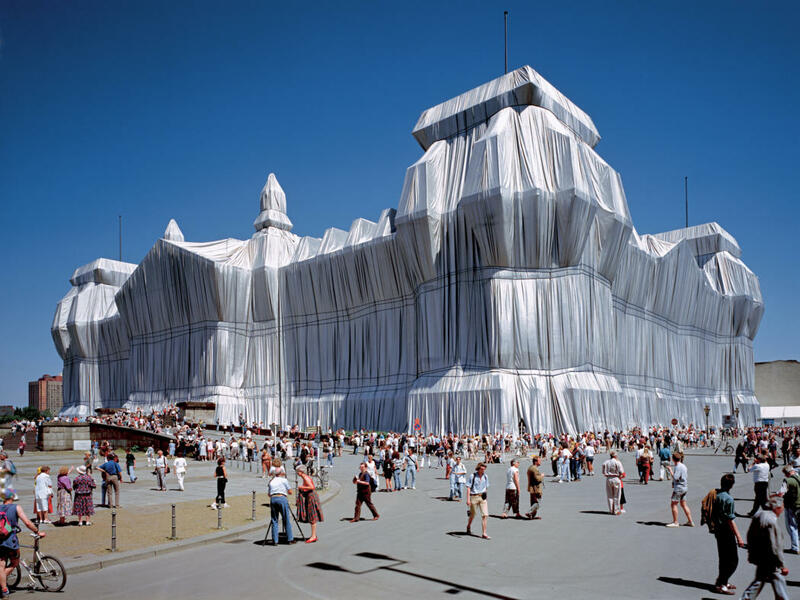 Early work are wrapped household items, packages, crates, then oil drums. 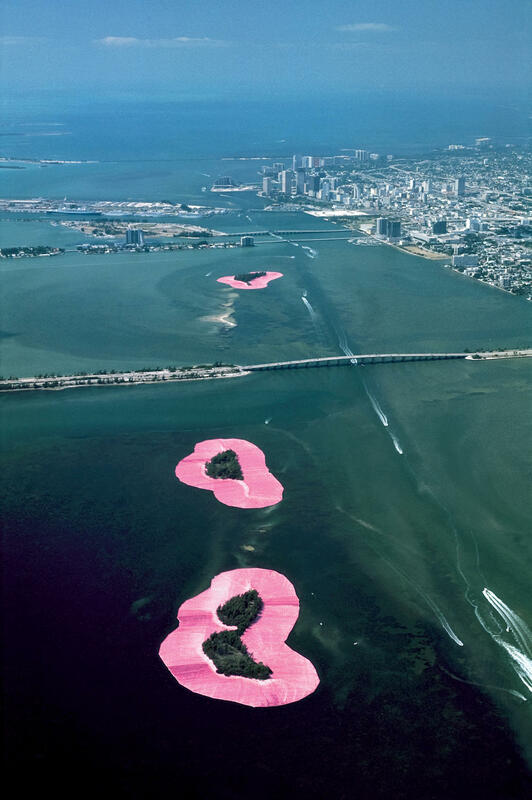 The first collaboration with Jeanne-Claude is in 1961. 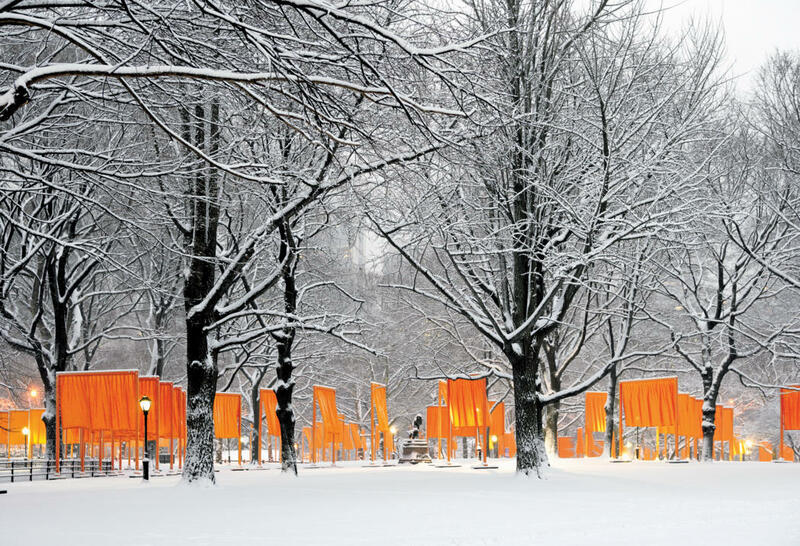 In 1964, they move to new York where he wraps a storefront. 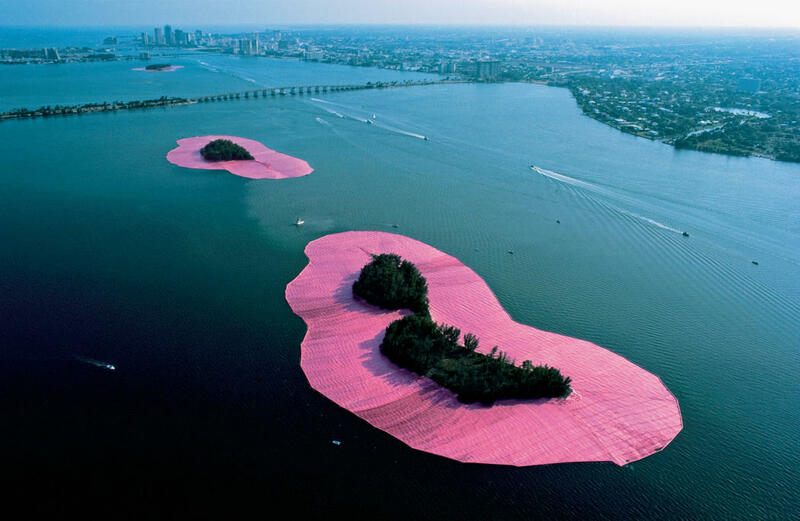 Eventually the pair stage large-scale wrappings of Paris’ Pont Neuf bridge, the Reichstag in Germany, and even a collection of islands off the coast of Florida. 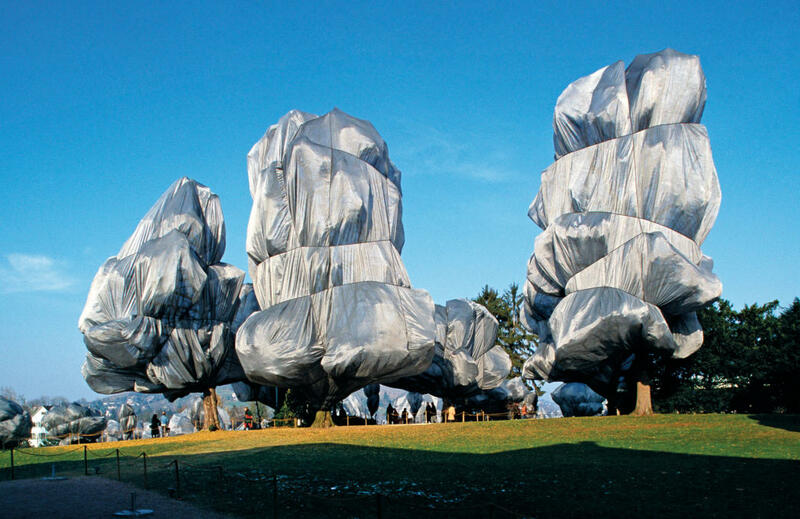 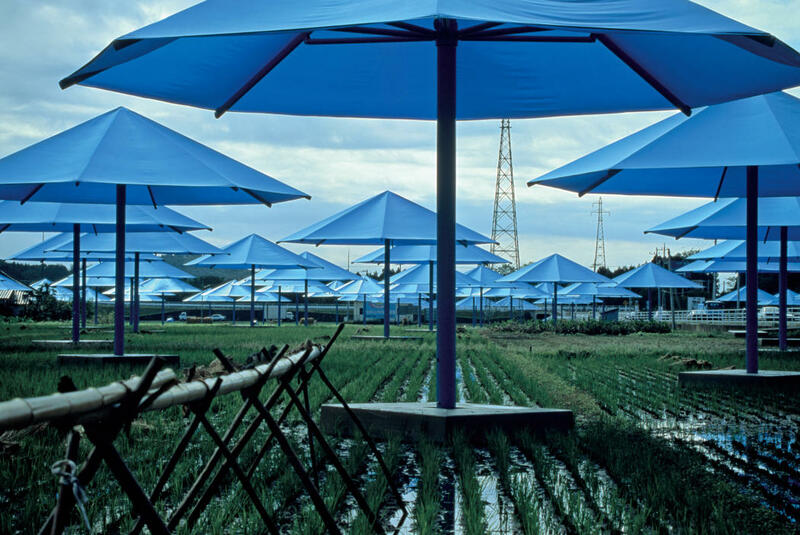 In their partnership, Christo conceives the projects, and Jeanne-Claude manages logistics. 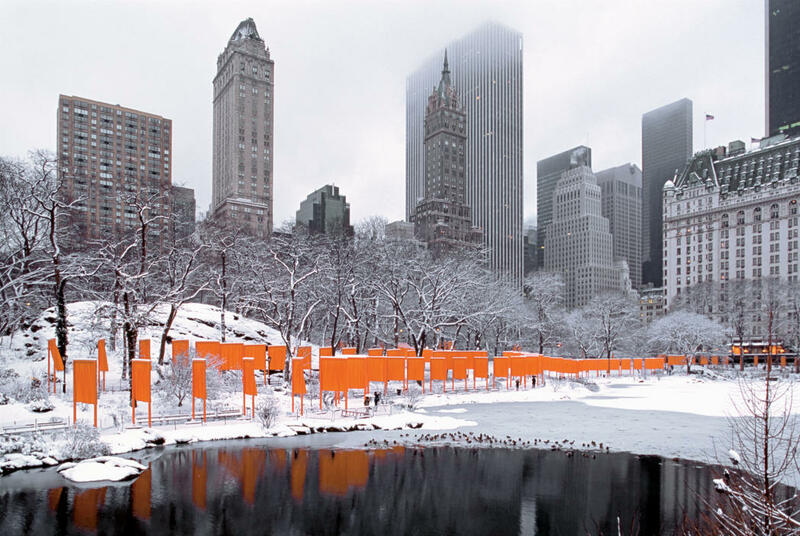 The most recent project is The Gates in New York’s Central Park in 2005. 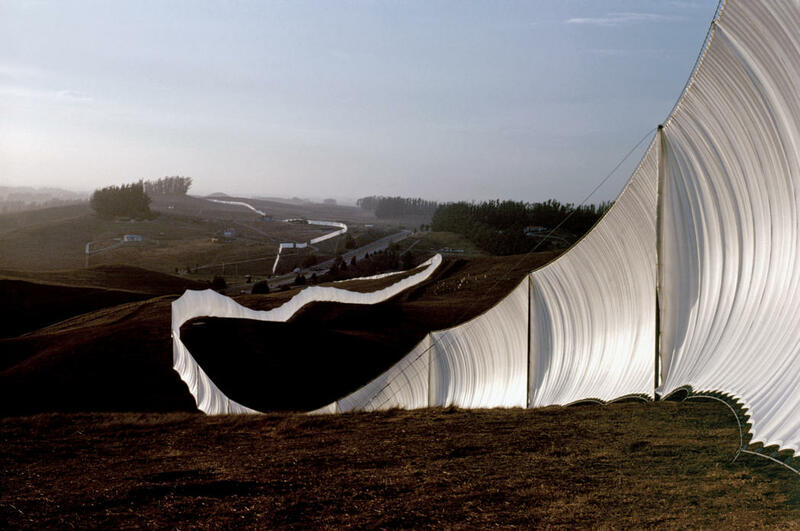 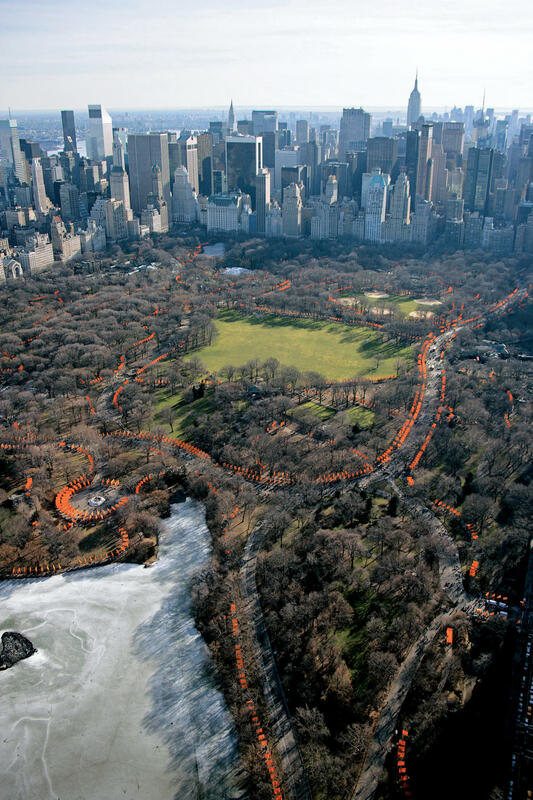 Jeanne-Claude dies in 2009, leaving Christo to complete new project solo; Over The River, to be completed in 2014.